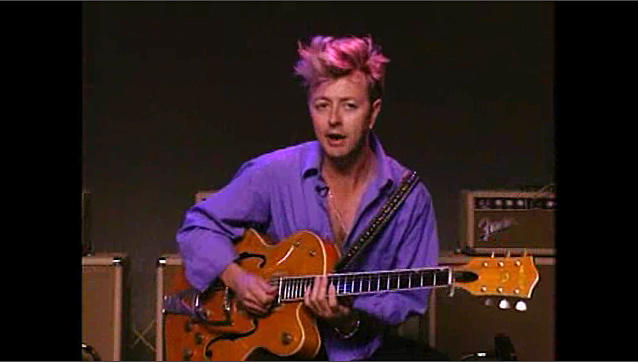 Rockabilly guitar ace Brian Setzer first made a name for himself as leader of the Stray Cats, in the early Eighties. The trio's traditional rockabilly sound on tracks like "Rock This Town" and "Stray Cat Strut" stood out substantially from the new wave and glam metal popular in that era, and Setzer earned a cult following as a burgeoning guitar star. After the Cats broke up, Setzer formed a 17-piece big band called the Brian Setzer Orchestra and almost single-handedly sparked a revival of swing music and dancing with his cover of the Louis Prima classic "Jump, Jive an' Wail." By this time, Setzer had become an internationally recognized guitar hero for his seamless blend of rockabilly, blues, jazz, and country fretboard dazzle.